 The Chabad House hosts weekly Shabbat dinners while school is in session. The intimate and elegant setting allows students to meet new friends from every niche of the Kennesaw State community, while feasting on a gourmet home cooked meal. Experience the sweetness of Shabbat with great cuisine, lively conversation, and family warmth. Join us with your friends! RSVP : Sending in your RSVP is important and very much appreciated! You are always welcome to join us.